The British progressive rock band Alan Parsons Project was active between 1975 and 1990. The Project consisted of Eric Woolfson and Alan Parsons surrounded by a varying number of session musicians. Englishman Alan Parsons met Scotsman Eric Woolfson in the canteen of Abbey Road Studios in the summer of 1974. Parsons had already acted as assistant engineer on The Beatles' Abbey Road and Let It Be and had recently engineered Pink Floyd's The Dark Side of the Moon. Woolfson, a songwriter and composer, was working as a session pianist. 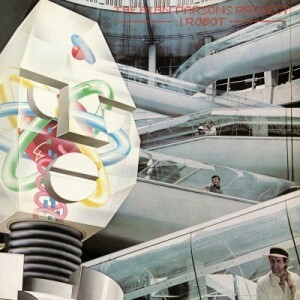 I Robot is their second album and was originally recorded in 1977. It was intended to be based on the 'I, Robot' stories written by Isaac Asimov, who was enthusiastic about the idea. However, as the rights already had been granted to a TV/movie company, the album's title was altered slightly by removing the comma, and the theme and lyrics were made to be more generically about robots rather than specific to the Asimov universe. Musically this album has strong influences from soul, funk and disco music, mixed with some influences from early electro and synth-pop music. Why buy an audiophile LP? They may cost a little more than the standard vinyl LP release, but what you receive has been created to be the definitive release of this album. It is made to sound far superior to a standard LP release and is packaged with a great deal of care with original artwork. Music on Vinyl (or "MOV") only release high quality 180g LP and 7" vinyl pressings of titles licensed from a wide range of record companies and artists who control their own repertoire and this label is recognised by vinyl lovers worldwide as a trusted name providing a superb LP vinyl release. In contrast to a standard vinyl reissue, this audiophile pressing is mastered onto very high quality 180g weight vinyl which has almost no surface noise. The best available (analogue) sources are used for the mastering process (as close as possible to the original master tapes) and MOV's sound engineer has over 35 years of experience in cutting and mastering records for (major) record labels. The resulting MOV release is often the best sounding release of the album that has ever been commercially available and the pinnacle of how good the album can sound at home. If you love music and you love vinyl, you'll love this Music on Vinyl release.